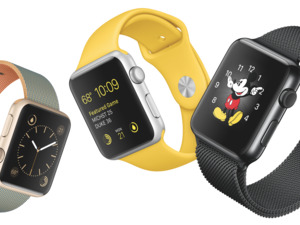 Three models of leather bands, each in three colors, will cost $150. Expect at least part of Apple’s WWDC keynote on June 13 to cover Apple Watch news: Even if Apple doesn’t unveil a second-generation Apple Watch itself, there will be new bands. One band, the Apple Charms Leather Strap, is made from “glovetanned” leather with little metal charms that attach to a leather loop just below the watch face. (You might want to refrain from busting out random jumping jacks, to keep the metal pieces from banging the watch’s glass face or metal bezel.) That strap has “hand-creased edges and hand-tacking at stress points for durability,” (which, same), according to the hidden page’s sales copy. That band will come in three colors: black, white, and “saddle” (brown). 9to5Mac dug a little deeper and found evidence of two more bands, an Apple Tea Rose Applique Leather Strap and an Apple Wild Beast Camo Leather Strap. Those also come in three colors, and feature die-cut flowers and a printed camoflague pattern, respectively. Coach is saying these all come in “women’s sizes” only, which would seem to imply just the 38mm size, not the 42mm, although that isn’t completely confirmed. The straps will be sold in select Coach stores in California, New York, and Nevada (we’re guessing Vegas). Why this matters: Apple has always positioned the Watch as its most fashionable product, from its debut at a high-end Parisian boutique during Fashion Week, to a partnership with Hermès for other high-end leather bands and a custom watch face to match. 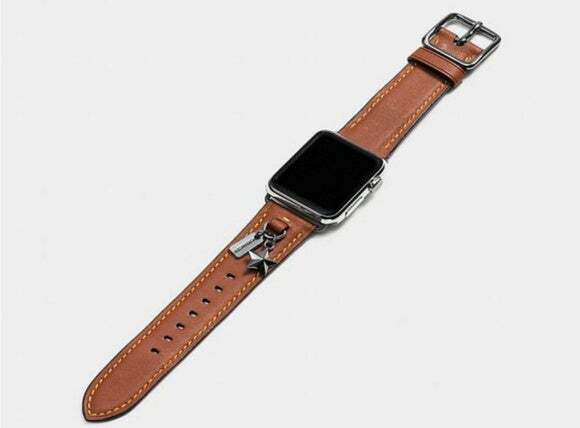 Coach has a great reputation for fine leather goods like handbags and wallets, so Apple Watch straps seem like a great fit.